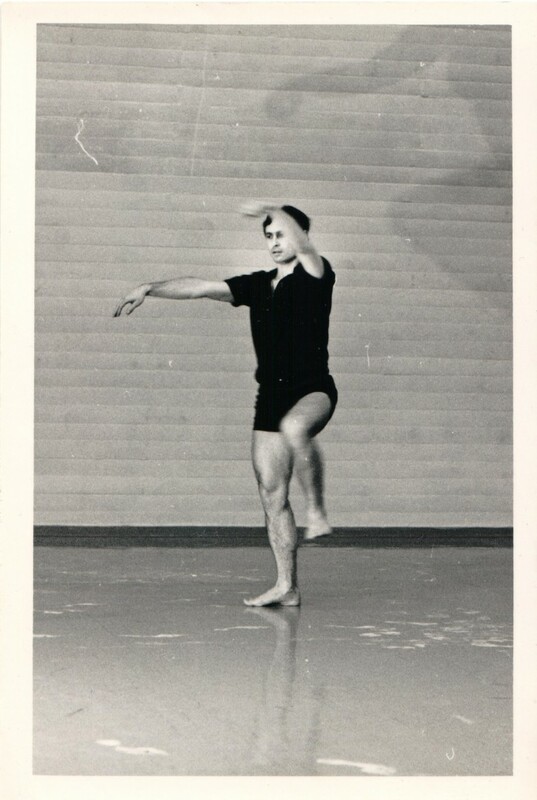 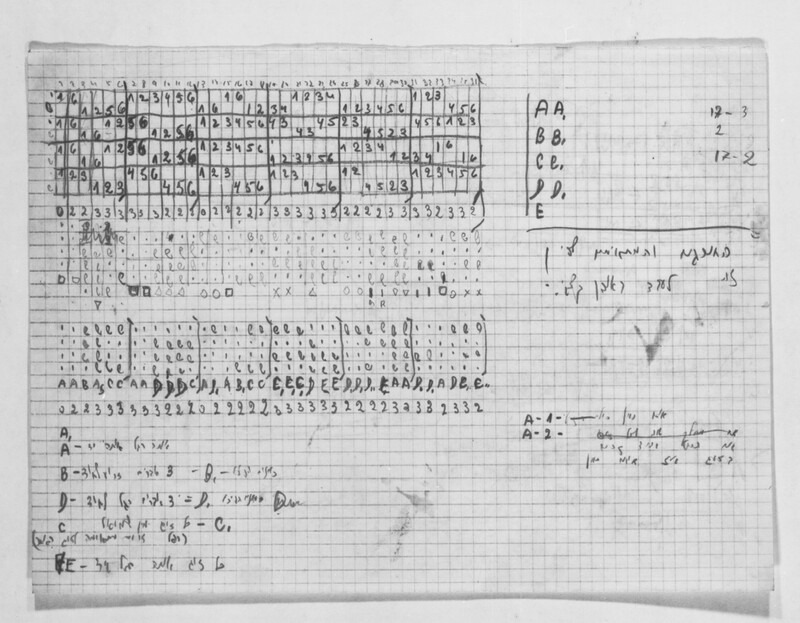 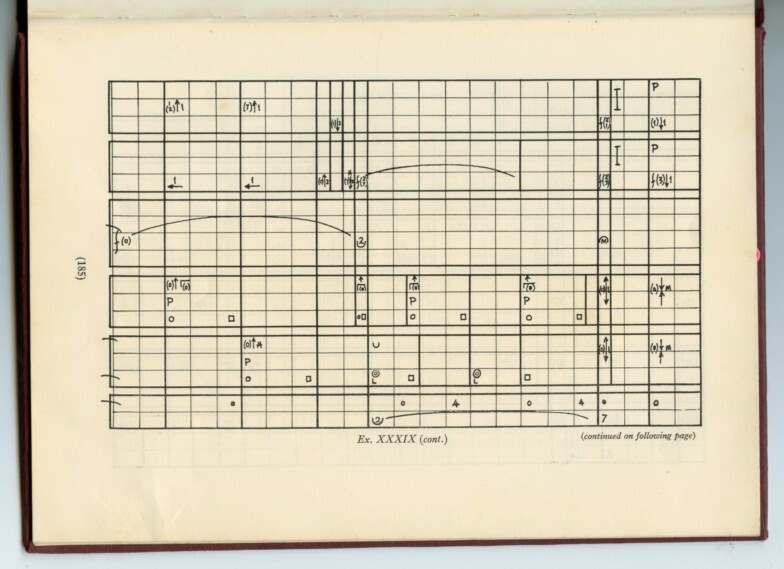 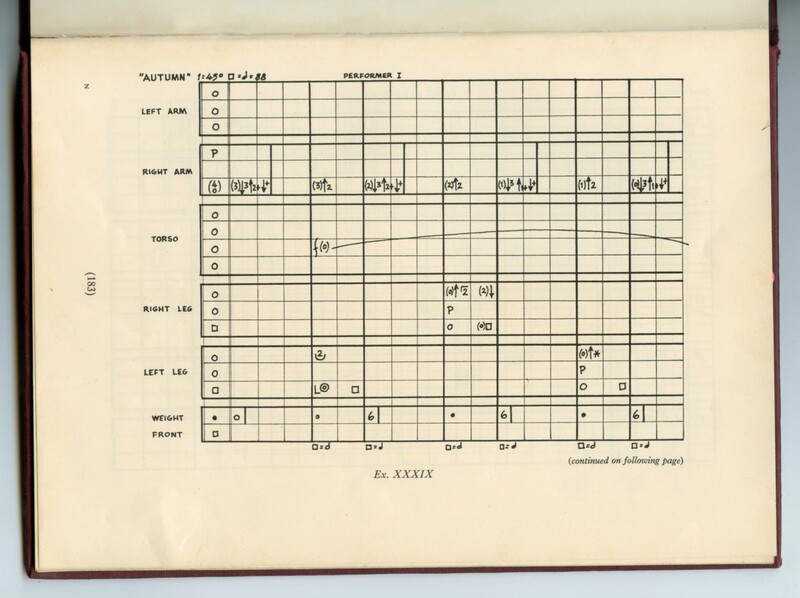 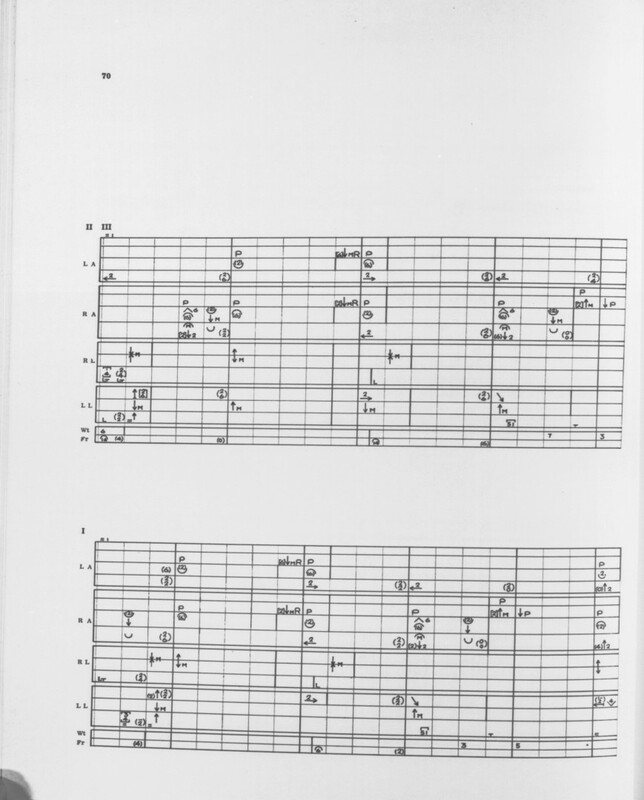 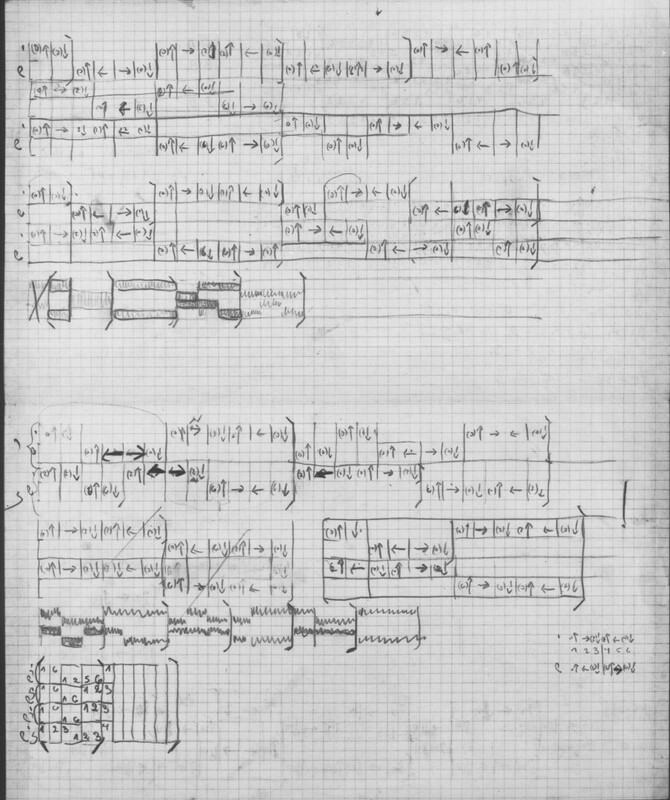 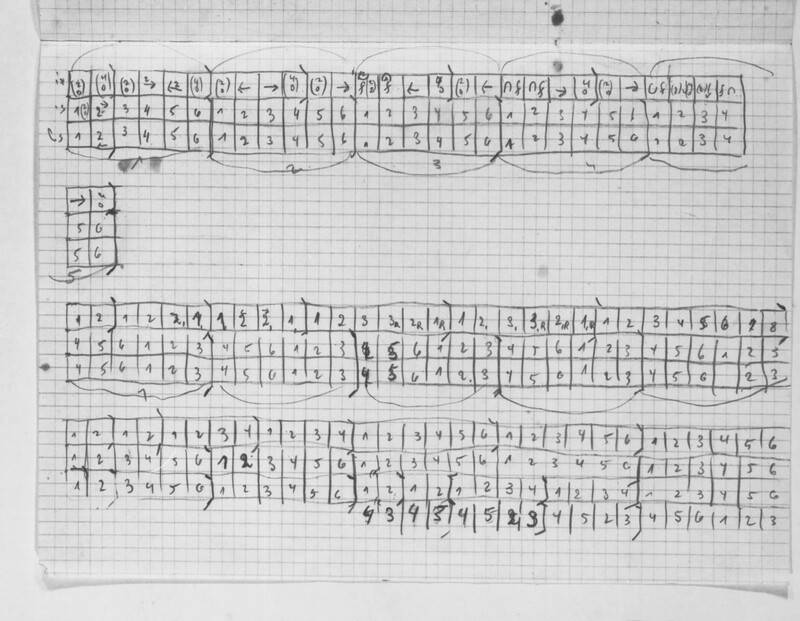 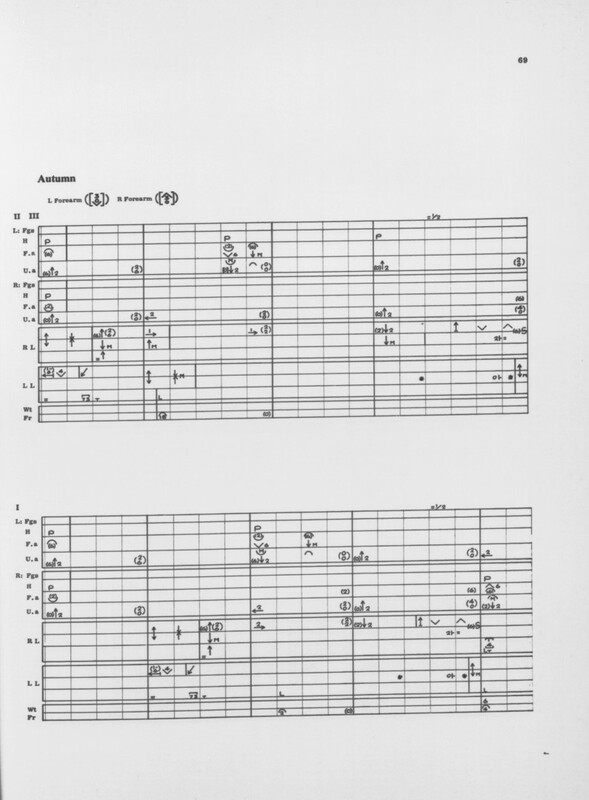 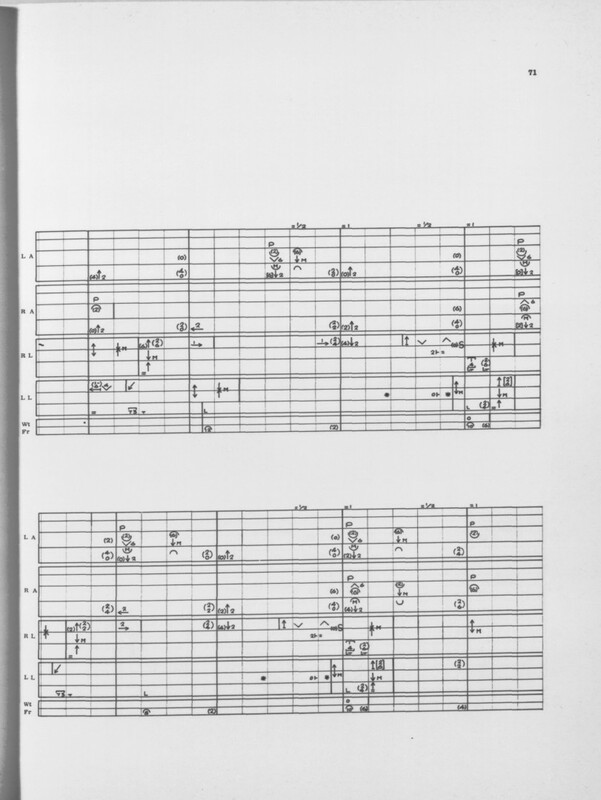 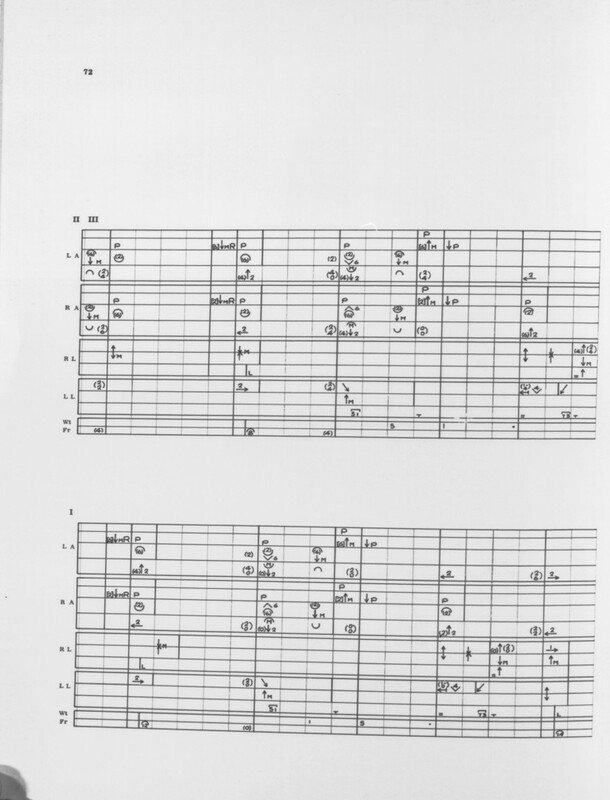 Movement score of "Autumn," from "The Four Seasons," as published in "Movement Notation", 1958. 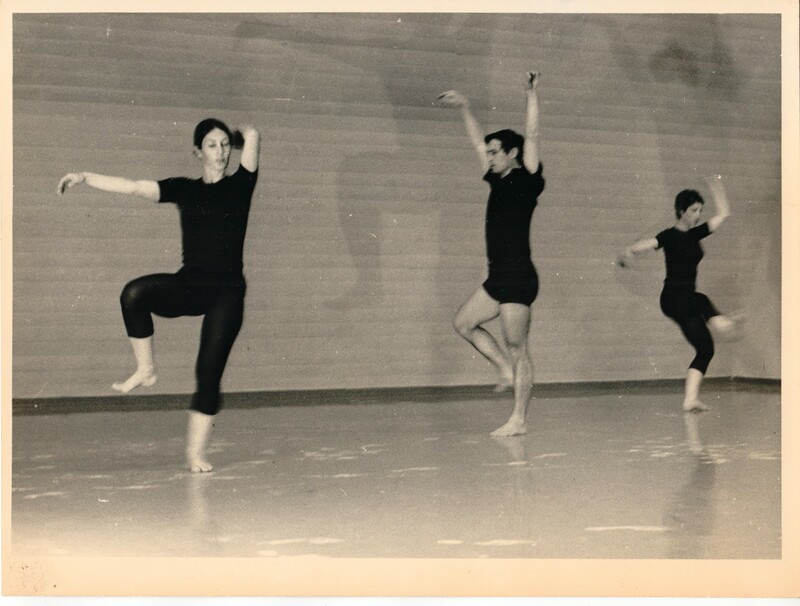 The Chamber Dance Quartet (first ensemble) rehearsing “Autumn,” as notated in the book "Movement Notation." 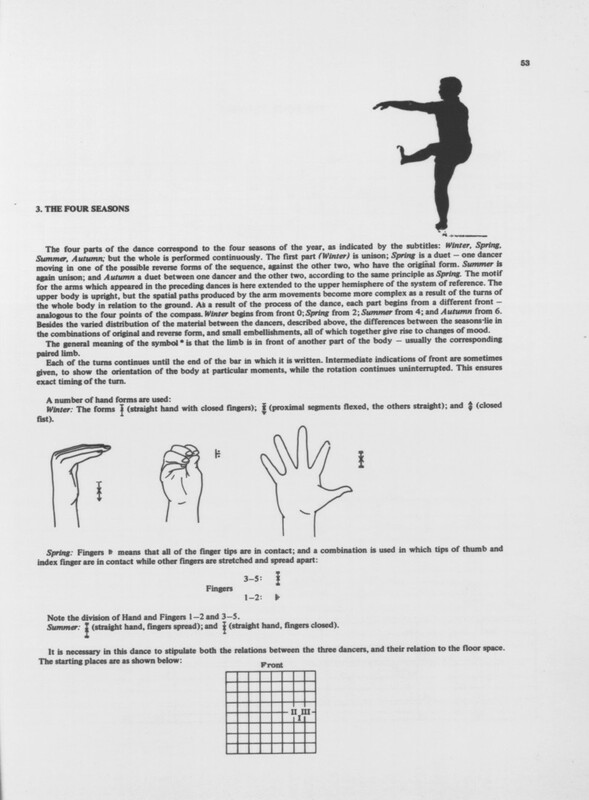 "Passive" form of the hand (‘P’ in EWMN). 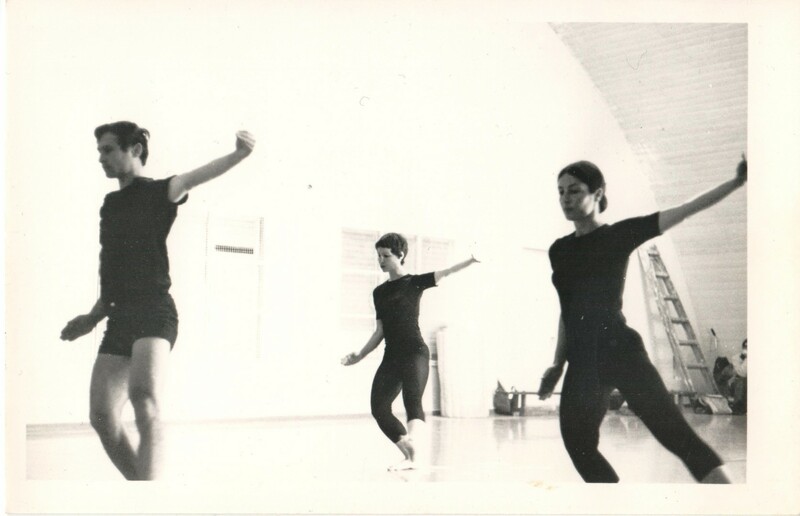 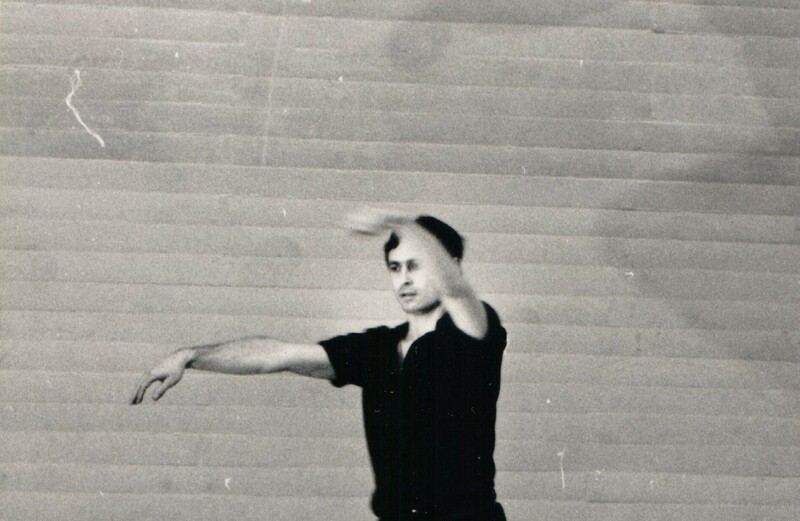 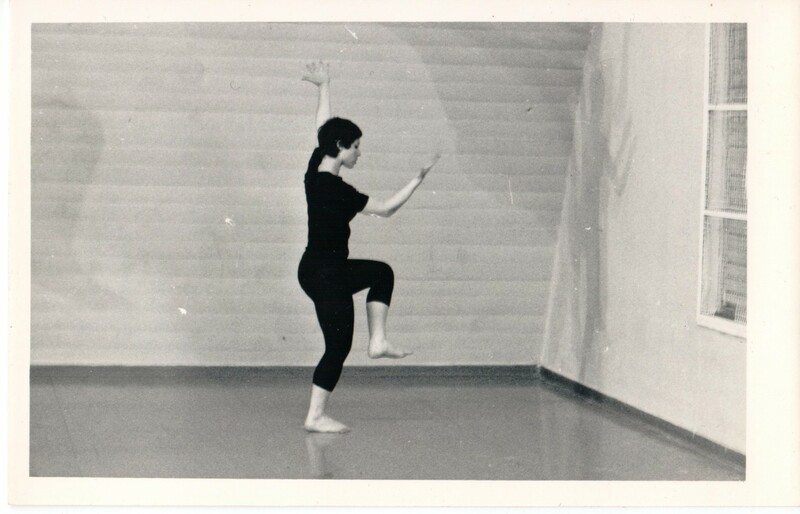 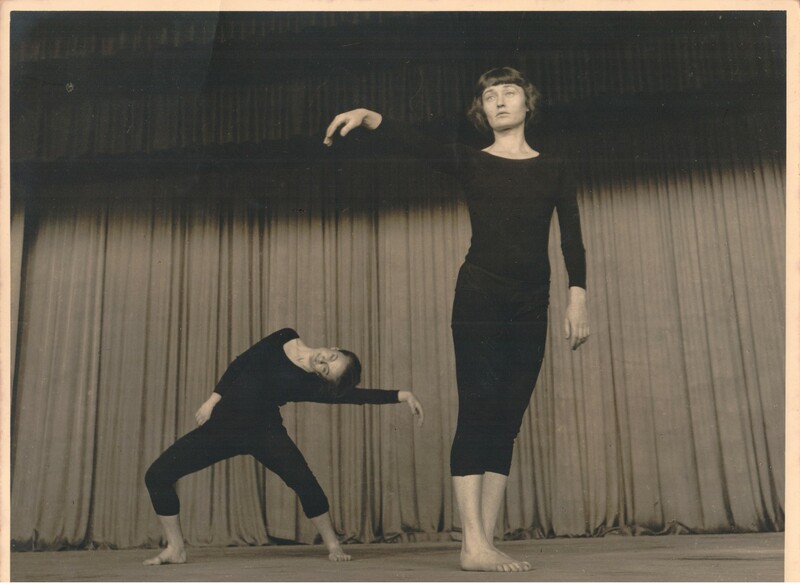 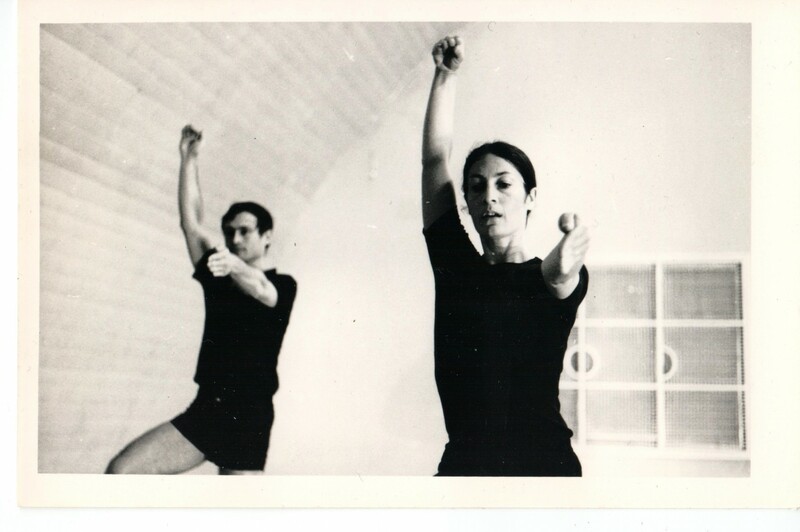 The Noa Eshkol Chamber Dance Group (fourth ensemble) rehearsing “The Four Seasons,” as notated in "Right Angled Curves." 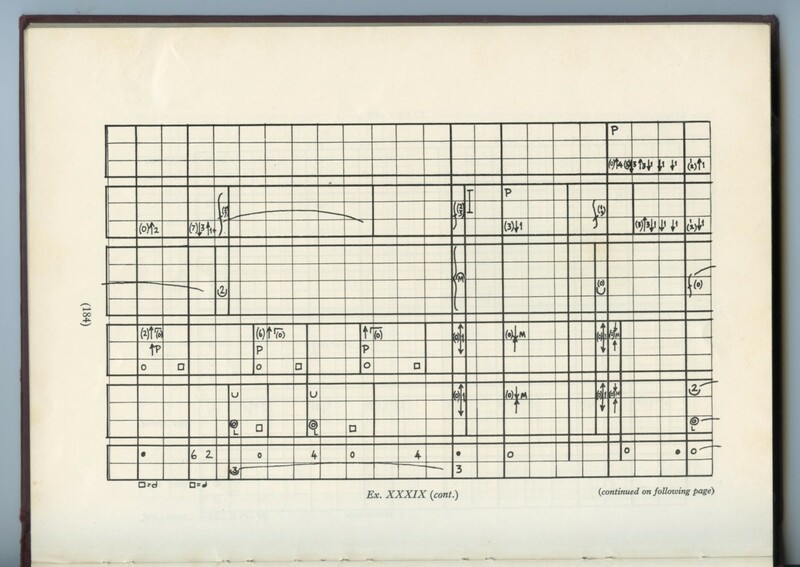 Movement score of "Autumn," from "The Four Seasons," as published in "Right Angled Curves", 1975. 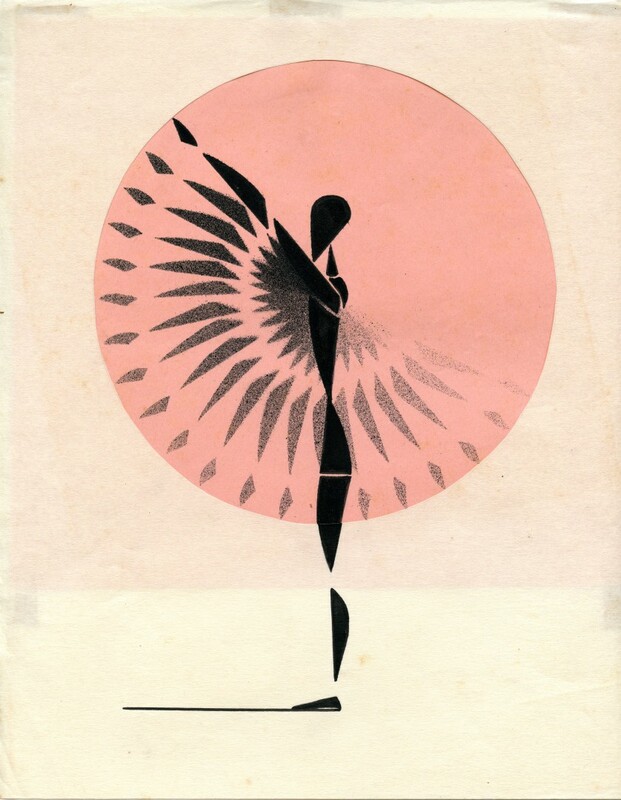 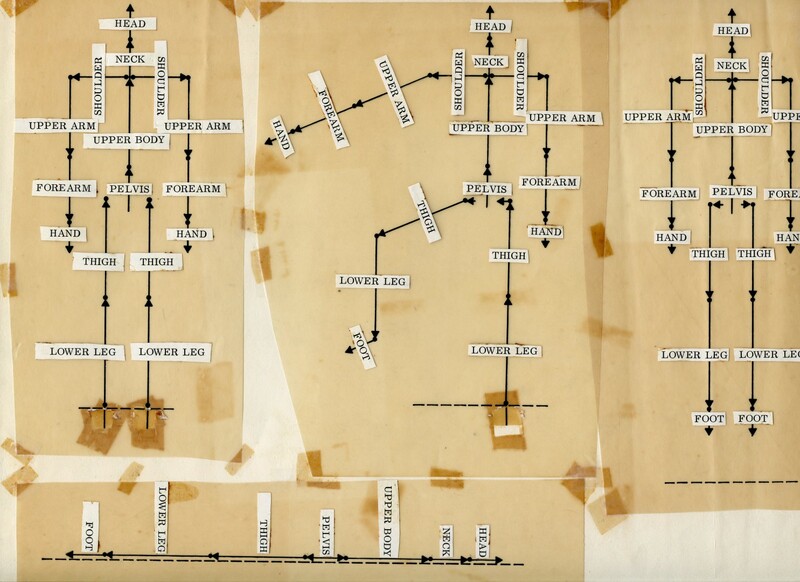 "The hierarchies of limbs: heavy-to-light (with their corresponding systems of reference) begins from the base and continues through all adjacent limbs in the system of moving axes, according to the structure of the body and its situation." 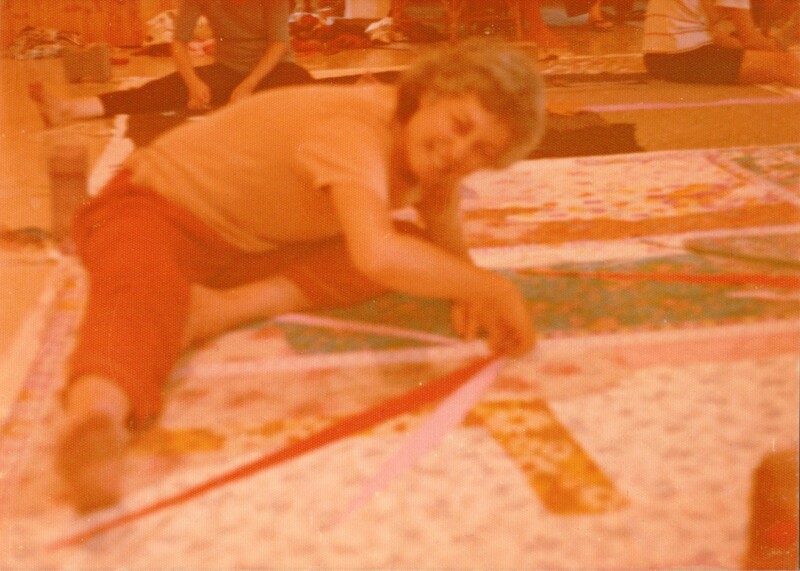 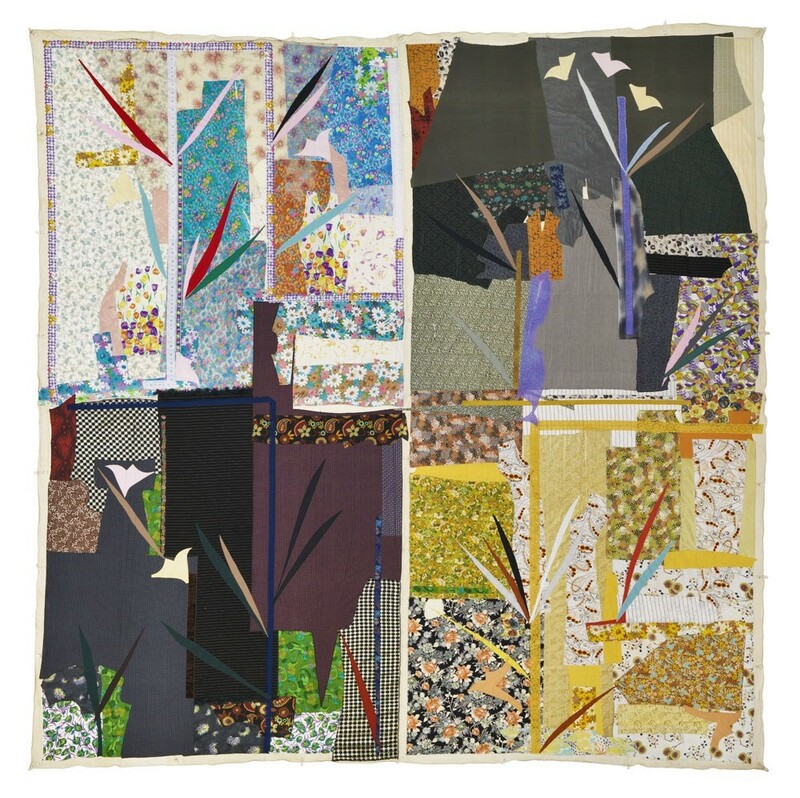 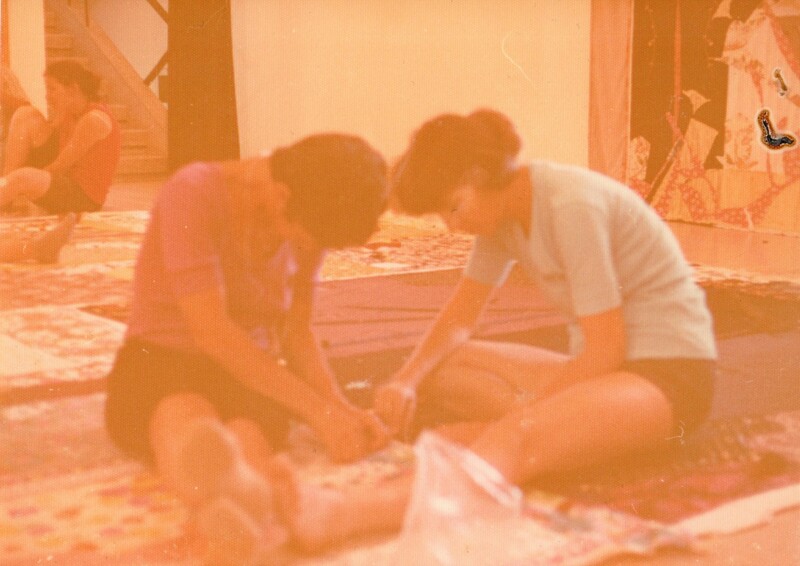 Noa Eshkol's students stitching “Four Seasons,” a wall carpet by Noa Eshkol, home studio, 1980s. 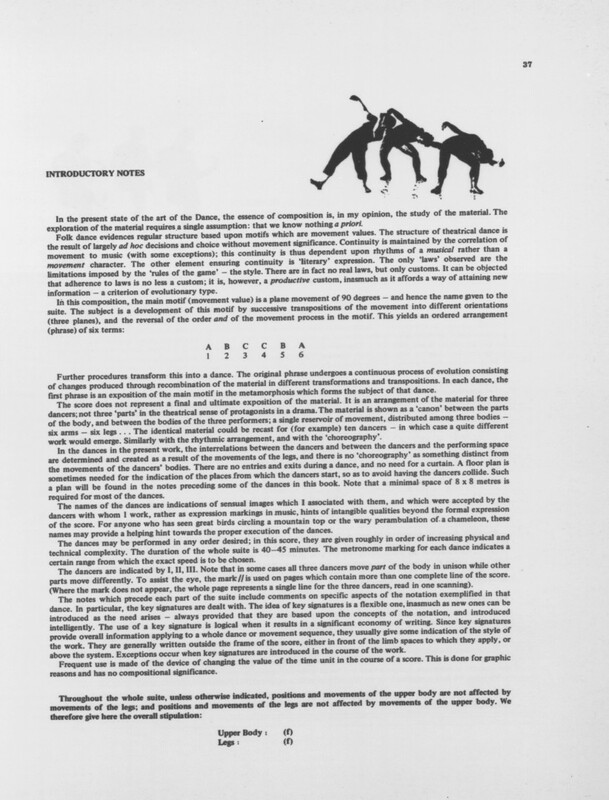 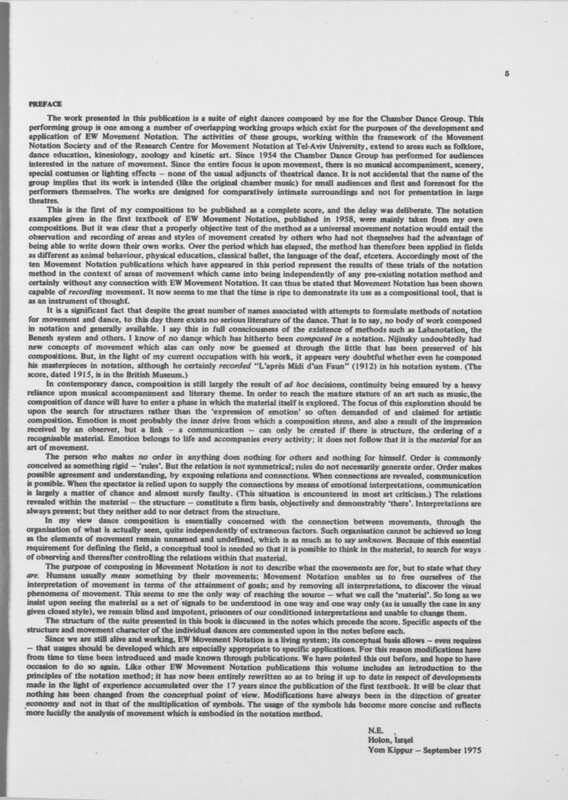 Preface and Introductory Notes, “Right Angled Curves”, 1975.